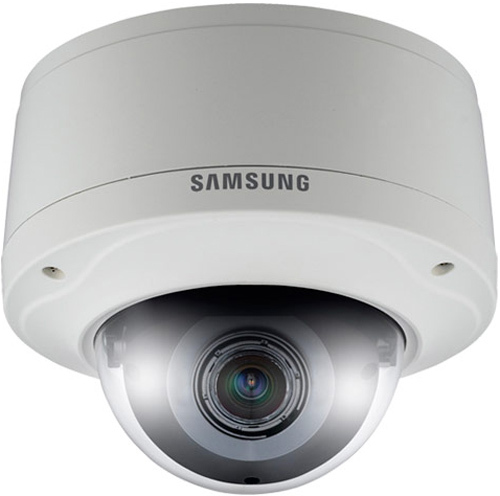 The Samsung SNV-7080 is a ONVIF compliant 3 Megapixel Vandal-resistant network dome camera with Samsung’s WiseNet2 DSP chips. Featuring SSDR, this camera balances the overall brightness by illuminating the darker areas to the same ratio as the bright areas, and produces clear images under high-contrast lighting conditions. The Wide Dynamic Range (WDR) technology lighting conditions in order to display an wide area across the entire scene, making it suitable for areas that have strong light/dark contrast. The high-resolution camera with Day/Night ICR function allows you to switch between color and B&W as per changes in ambient lighting, ensuring accurate color reproduction in daylight and enhanced B&W images at night. With SSNR3 noise reduction technology, the camera offers color images in dimly-lit areas with reduced noise in the picture, and helps saving storage space. The Samsung SNV-7080 has many exciting features for users of all types. 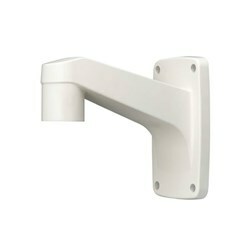 FactoryOutletStore stocks a full line of accessories like Wall Mount Bracket for the Samsung SNV-7080. The Samsung SNV-7080 is sold as a Brand New Unopened Item.